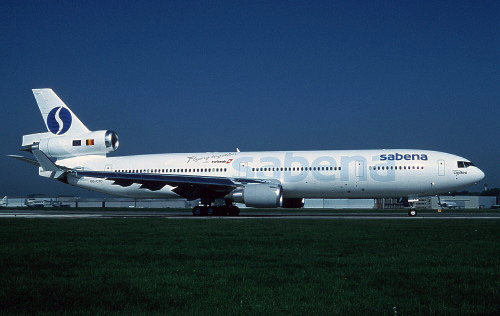 Description: City Bird third MD 11 wearing the full (old) colors of Sabena. 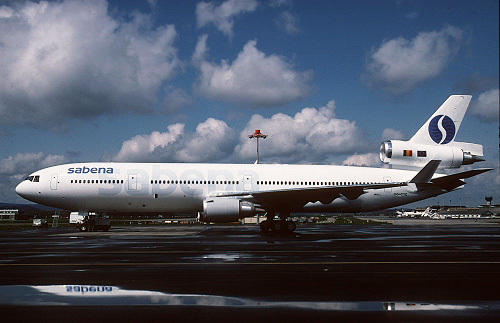 Delivered on May 1 1998 it was solely operated on behalf of the Belgian flag carrier, hence its only color scheme. Additional titles were added in the form of "Flying together with Swissair" and "operated by City Bird". On March 1 2001 the aircraft was returned to City Bird and immediate placed in storage before being cancelled to Aruba. Description: adorned with "Flying together with Swissair" and "operated by City Bird" stickers. 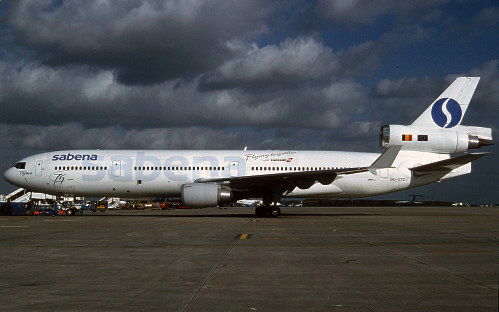 On March 1 2001 the aircraft was returned to City Bird and immediate placed in storage before being cancelled to Aruba. Description: with additional sticker in form of 75 years anniversary of Sabena.